The technologically advanced the Computer Tools supplied by us is used for checking computers. Designed and developed by our certified vendors using optimum materials and sophisticated technology for impeccable range. The complete range can be availed from us at market leading prices. 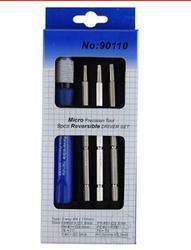 Banking on the skills of our qualified team of professionals, we are involved in providing IT Accessory Kit. The kit is supplied in a Kennedy® professional tool and lap top bag. • Hexagon wrench set 1.5 to 6mm. • Flat blade precision tweezers 170mm. • Sharp nose precision tweezers 115mm. Hacker drive toolkit is designed for providing you with advanced virus troubleshooting and tuning for your system. An easy to understand user guide is provided so that you can start your do-it-yourself virus troubleshooting. integra and clamwin antivirus are security tools included with this toolkit. We offer prominent quality computer maintenance kits to our valuable customers. These kits are manufactured as per the industry requirements using latest technology and equipments. These are known for their durability and reliability. 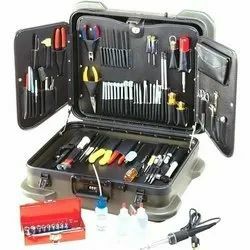 - This is a kit for computer servicing with necessary tools. It also has a pocket for carrying spares. - Length = 410 mm, Width = 315 mm, Height = 140 mm.